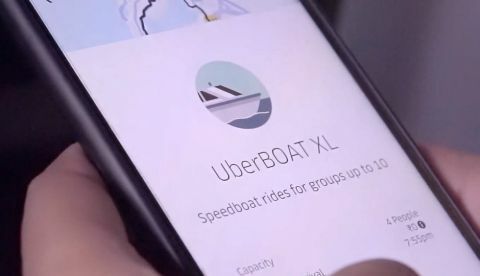 The new service comes in two variants, UberBOAT with a seating capacity of six to eight passengers and UberBOAT XL for more than ten passengers. UberBOAT service with on-demand speed boats announced in Mumbai. UberBOAT will be available from Mumbai's coastal routes, Gateway of India, Elephanta Islands and Mandwa Jetty. The service will be available from February 1. Uber has announced a pilot launch of its new UberBOAT service in Mumbai, in partnership with Maharashtra Maritime Board. The company’s new on-demand speed boat service will enable customers to use waterways as a mode of transportation from the city’s popular coastal routes namely Gateway of India, Elephanta Islands and Mandwa Jetty. The new service will be available for Uber users in Mumbai from February 1 and there are two variants of the service, UberBOAT with a seating capacity of six to eight passengers and another called UberBOAT XL for more than ten passengers. The rides will cost Rs 5,700 for UberBOAT and Rs 9,500 for BOAT XL, for all the active routes. Additionally, all the UberBOAT rides will come equipped with safety features like emergency contact details, lifejackets, printed collaterals along with a manual that highlights safety instructions.